Heading to Georgia happened by way of a happy accident, in a manner of speaking. Going on this particular trip was a last minute decision, so I had to pick a place where I either got visa-on-arrival, or already had one for it. After a lot of hemming and hawing, Georgia was the winner. Not the state in the USA, but the country in eastern Europe. While researching the country, I found Taste Georgia and with recommendations from others who had booked with its tours before, I contacted Sarah May Grunwald, the co-founder, and set about picking a tour. 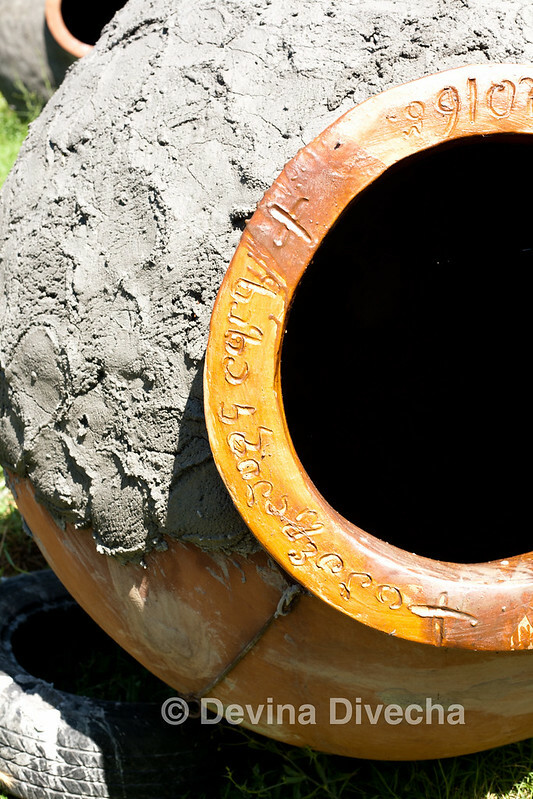 I chose the ‘A Day in Kakheti’ tour which, as you can see from the website, focuses on wine, food and culture. Perfect! In the morning, we were picked up from Tbilisi (on the aside, we stayed in this beautiful Airbnb very close to a metro station, near buzzing shops and a square) by Maka Tarashvili, our guide from Taste Georgia, and Alex, who was going to be driving us for the day. Can I just say I absolutely loved both of them – they were really the BEST people we could have had to spend the day with, and show us around. From Tbilisi, we journeyed towards Kakheti – a wine region in Georgia. On the way, we stopped at Gombori Pass, which is an absolutely beautiful way to get to wine country. We stopped at a point where it peaks at 1,620m above sea level, and snapped some pics. 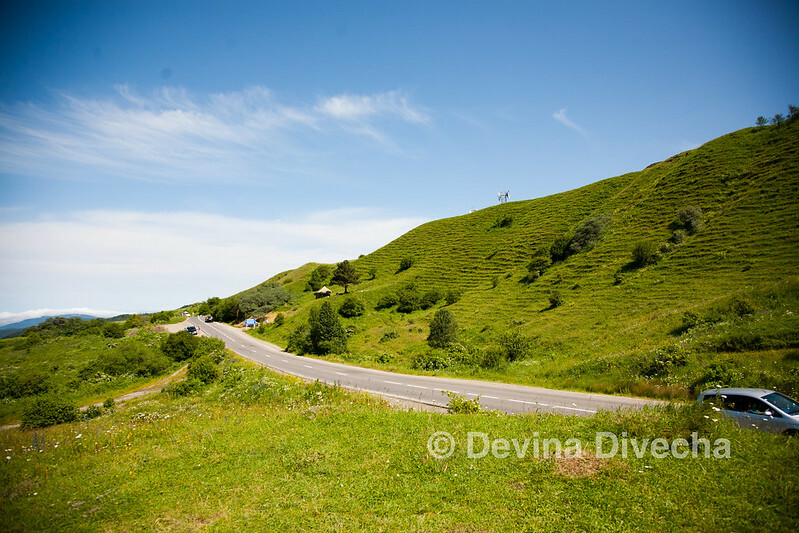 From there, we continued the journey through picturesque mountains, and stopped at Alaverdi Monastery. We were told that the monks there have been making traditional wines in qvevris (more on qvevris in a bit) since AD 1011. We were unfortunately unable to try the wines at this stop, but it was a charming cultural and historical stop nonetheless. From there, we headed on to a qvevri maker’s house, Zaza Kbilashvili. He is reportedly one of the four remaining qvevri producers in Georgia! Located in Vardisubani, we were shown around his workshop and taken through the process of making wines with qvevris. These are made with terracotta clay, and lined with beeswax after they undergo a firing process, which lasts seven days. Wine is an important part of Georgia’s history, it is said to have been made in the country from more than 8,000 years ago. With skin contact between the grapes and the clay essential to create these wines the traditional way, the qvevris are then buried in the ground for the wine’s fermentation process. What is amazing that UNESCO has actually heralded this wine-making process as part of the “Representative List of the Intangible Cultural Heritage of Humanity”. I also found this interview with John Wurdeman of Pheasant’s Tears (a vineyard producing Georgian wines the traditional way) which explains everything you might need to know about qvevri. Enjoy that read – I did! 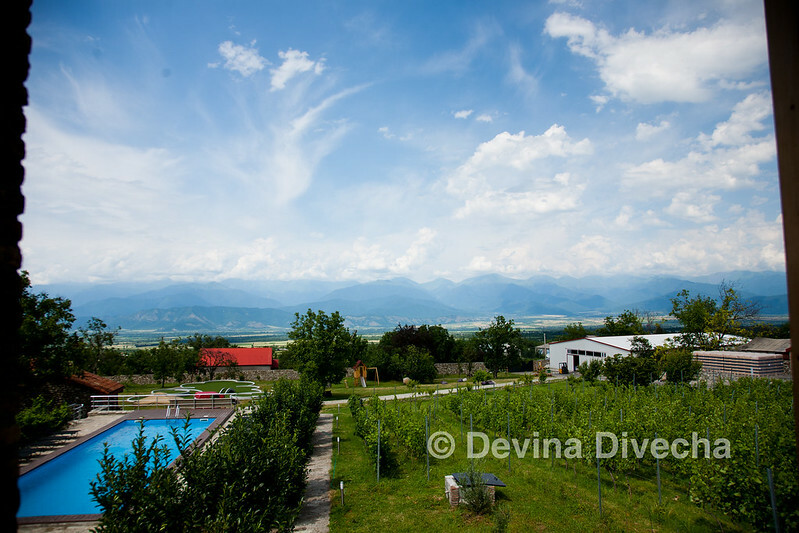 From there, we headed to a family winery called Teleda Orgo in the village of Kisiskhevi. We were taken on a tour of where the qvevris were stored, and were encouraged to ask as many questions as possible. I learned that due to the way these wines are made, the produce from qvevris are full-bodied and rich in tannins, with alcohol content not higher than 15%. At this stop, we tried a number of wines and had some cheese and nibbles to accompany these. We tried the 2014 Teleda dry amber wine, then a 2013 Orgo Kisi dry amber wine from a 50-year-old vineyard. Finally, we had a 2014 Orgo Saperavi dry red wine. I really loved these and we brought back the Saperavi and the 2014 Orgo Rkatsiteli (amber wine) with us. Our final stop was Schuchmann Wine House – and the views from here were absolutely breathtaking. We looked at its qvevri area as well, and settled in the outdoor terrace for our lunch. The food was hearty – Georgian specialities – and I must make special mention of the walnut paste which you’ll find in many dishes – absolutely loved this. I’ve now found a place in Dubai serving Georgian food – Little Georgia – and getting my fix there! We returned to Tbilisi in the evening, sated and buzzing with excitement about Georgian wines and food. Essentially, booking this tour was a great decision. It helped that we loved spending time with both Maka and Alex. She was so friendly and so very knowledgeable about not just the wines but also the region’s history and culture. And I can only emphasise how safe a driver Alex was – in Tbilisi, we were used to slightly ‘adventurous’ drivers, but Alex was just amazing… we felt secure the entire time. Prior to the trip, Sarah was in constant contact and always kept me in the loop with any amendments to the tour, which helped. Go beyond the pure touristic element of Georgia – meet Georgians doing cool and interesting things, learn more about the country’s history and culture, and most importantly, its wine. Thanks Devina for this. Really helpful and I look forward to experiencing the same when I travel! You’re welcome. I’m planning to write a few more Georgia-related posts over the next few weeks, so hopefully everything will help 🙂 Look forward to hearing your thoughts after your trip as well! Great piece! Heading to Georgia in a couple days and looking forward to Kakheti in particular. We are opening there first Georgian restaurant in Washington, DC, this fall, so come see us if you find yourself in DC! Thanks! Enjoy your trip to Georgia, I absolutely cannot wait to go back myself. Oh wow when exactly do you open? I’m actually heading to DC around Thanksgiving season so I’ll definitely look the restaurant up. What a beautiful location – and the food is as stunning as the surroundings, looks like a great place! Pingback: Travelling to Tbilisi, Georgia? My tips! – Devina Divecha. Journalist. Previous When in New York, try Foods of NY Tours!